My name is Philip Keller. I teach physics at Holmdel High School in New Jersey. My students there are fine young men and women who patiently indulge (and even encourage) my occasional digressions on to topics that, while physics-related, are not officially in our curriculum. When I can, I like to show them other ways of looking at the math they already know. Or show them the math that they should have known before taking on the challenge of learning physics. Many of these topics are gathered and organized in a book that I released this past fall. Advanced Math for Young Students: A First Course in Algebra is designed for middle school students to give them a head start in thinking algebraically and using algebra to solve puzzles and to express relationships. That’s what we do in physics all the time. Working on this project has led me to ponder other mathematical questions that are beyond the middle school level and more suitable for high school students and teachers to ponder. I would like to use this blog to explore some of them as well. Expect a mixture of math, physics, and some ideas about how we teach them. When he has no captive audience to talk to about these things, he blogs about them instead. 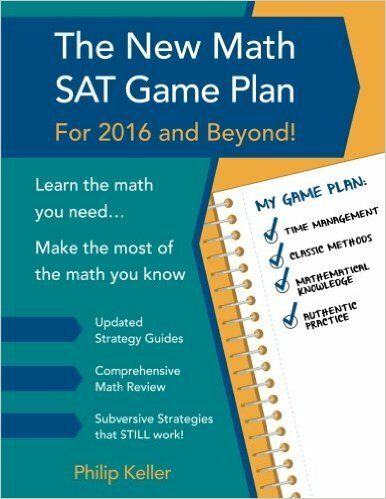 You can see his mathematical digressions at www.advancedmathyoungstudents.com, where you can also post any questions you have about this book. He lives in Shrewsbury, New Jersey with his wife Daphne, his children Reuben and Jane, and his dogs, Rosie, Pippin and Hawkeye. Also, my family keeps a small flock of chickens but I won’t list them all by name. I have the ti-89 titanium calculator. Do you have a youtube video or other digital resource that maximizes your book by using the calculator? You specifically mention in the book you will not show how it is to be used. There are plenty of videos to teach you the basics. But try not to get lost in it. Remember that while the ti89 cab be helpful, there are no problems where it is essential. I don’t have any of my own resources on these things but Google will lead you to many of them.